The Blind Lake Connector and Loop are an easy hop off the Soo Line North Trail. Wider trails provide a comfortable ride through a range of forest habitats as well as several remote lakes and ponds. Riders will find picnic areas and restrooms throughout the trail. Trails are provided by Aitkin County and local ATV Clubs. 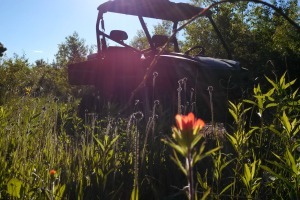 Northwoods ATV Trail offers over 200 miles ATV trails. Parking is available on the north and south ends of the loop. Part of the Northwoods ATV Trail, Aitkin County. CLOSED - Check back in May for season opening information.